Callum Farrell speaks to Rowan Simons, founder of ClubFootball in China, about some of the challenges faced by the country’s domestic competition. Callum Farrell reviews Football Business: How Markets are Breaking the Beautiful Game, which outlines a possible solution to football’s money problem. Callum Farrell spoke with GibFootballTalk about exciting times ahead for football in Gibraltar. American Samoa has the answer! Callum Farrell uses the story of American Samoa to discuss the possibility of bigger nations aiding the development of smaller ones. Callum Farrell runs his eye over Fernando Duarte’s ‘Shocking Brazil: Six Games that Shook the World Cup’. Ahead of their massive game with Argentina today, Callum Farrell discusses Iran’s ‘Team Melli’. Callum Farrell discusses the way in which teams from Africa are categorised as one when it comes to the World Cup. 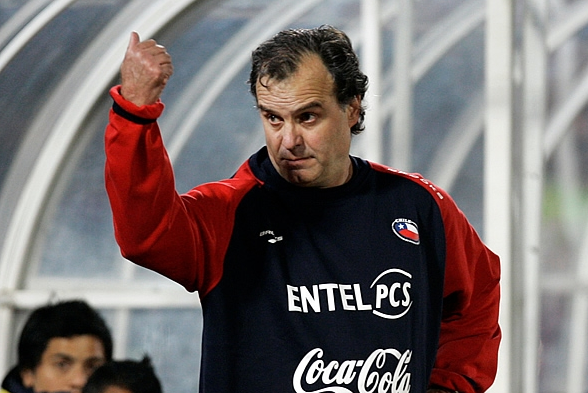 Callum Farrell discusses the latest managerial role for one of the game’s most intriguing tacticians, Marcelo Bielsa. Callum Farrell reviews James Montague’s new book on the very early stages of World Cup qualifiers.